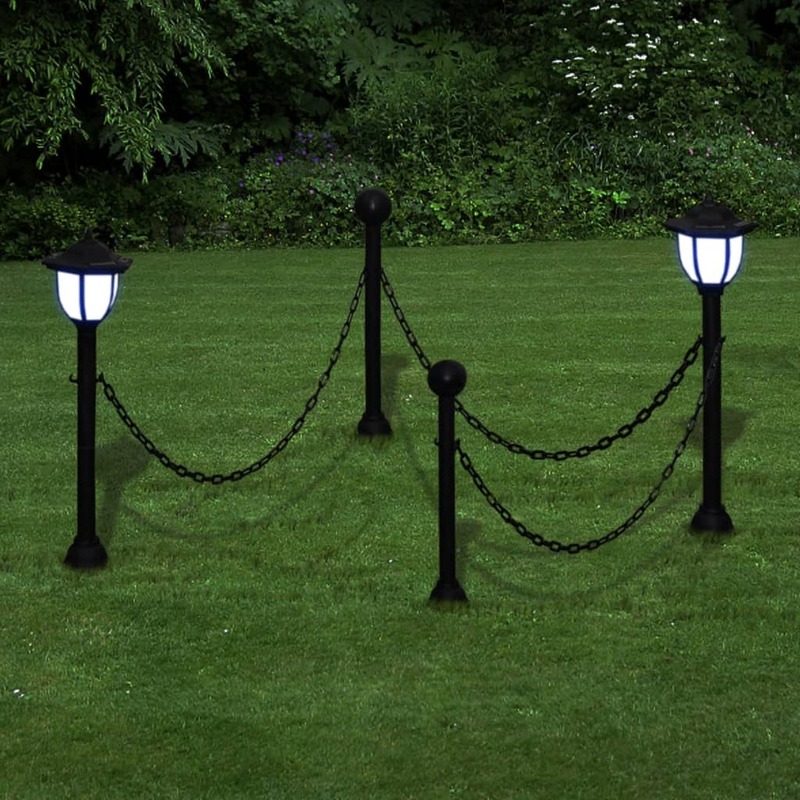 The 2 posts that have the solar lights on are 70 cm tall. 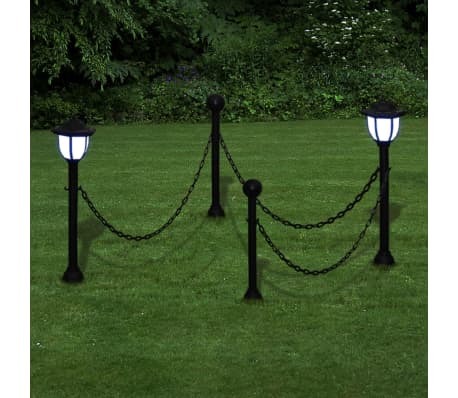 The 2 that have the balls on are 55 cm tall. 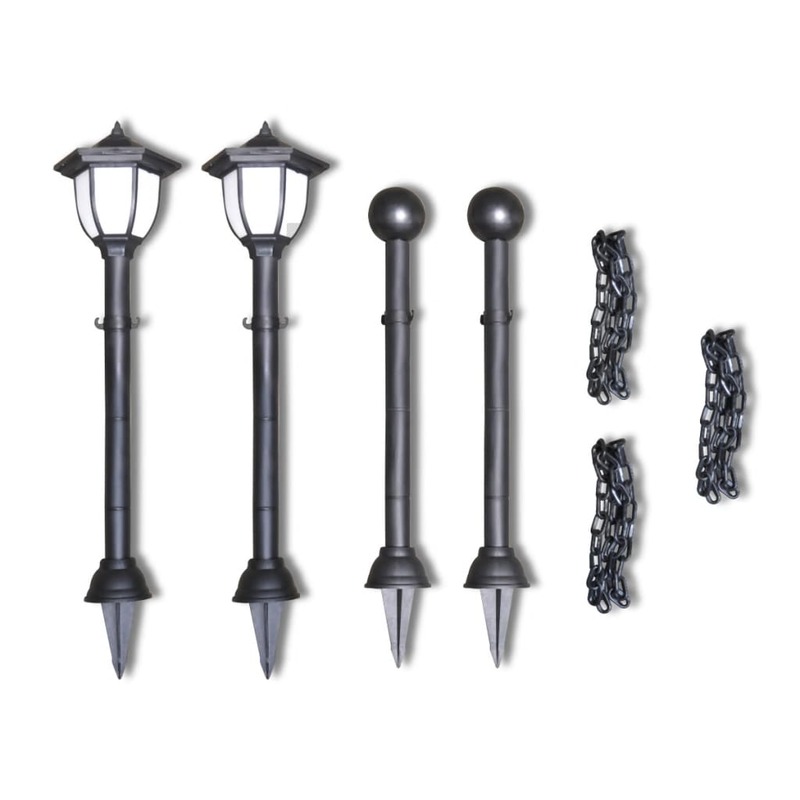 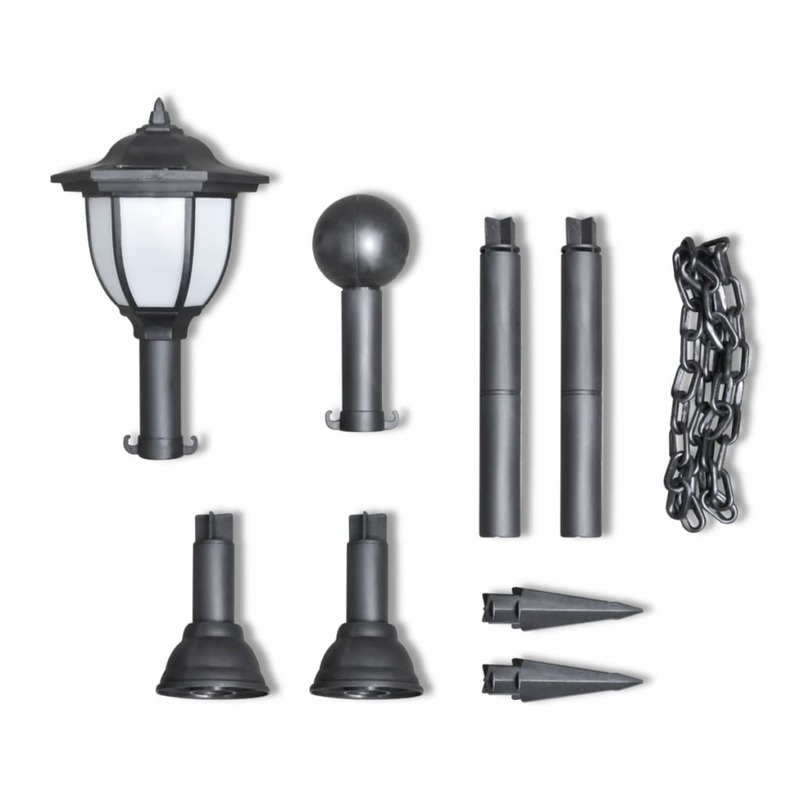 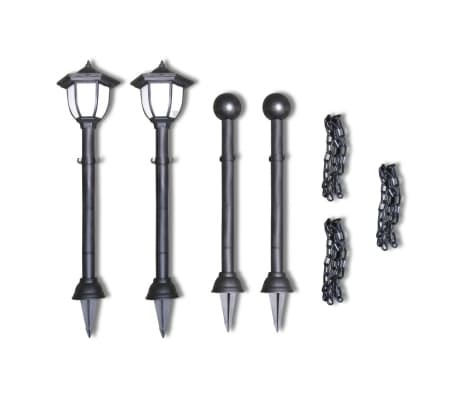 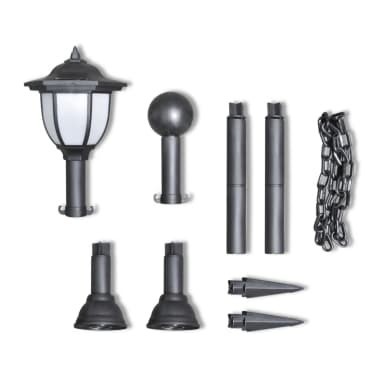 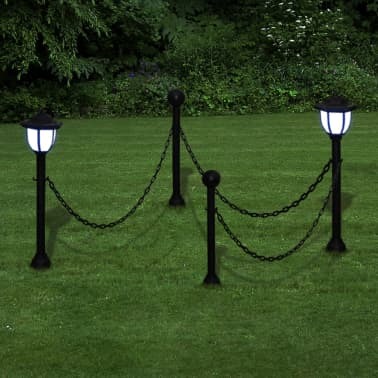 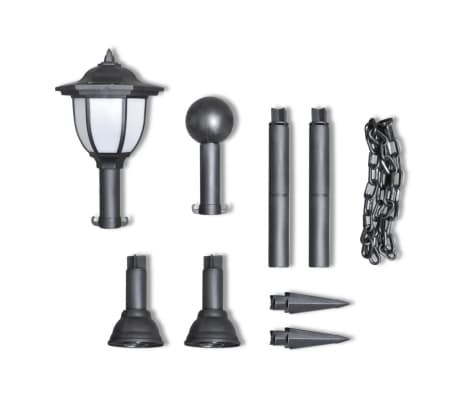 This chain fence with solar lamps is a perfect addition to any gardens, patios and yard. Each lamp is made of durable plastic for years of use. 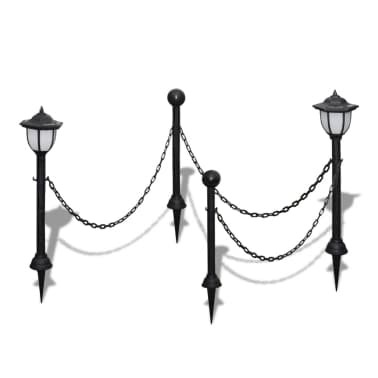 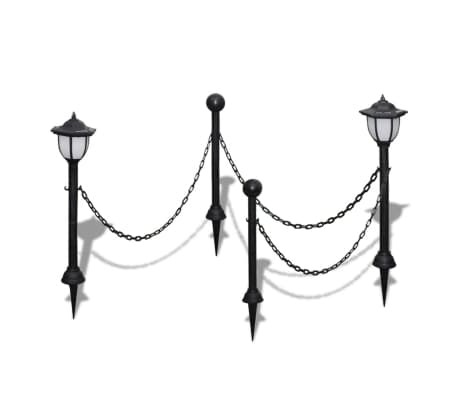 The lamps would turn on automatically when it gets dark. The duration of lighting depends on weather conditions. 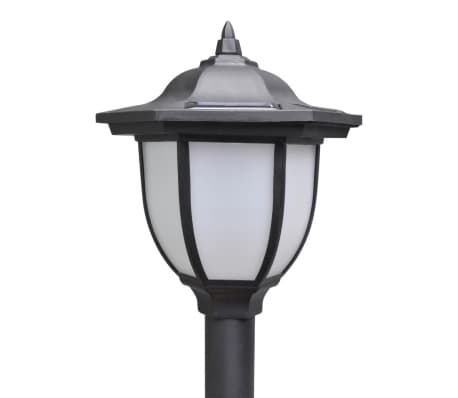 Usually it can last 8 hours with 3-hour solar radiation.